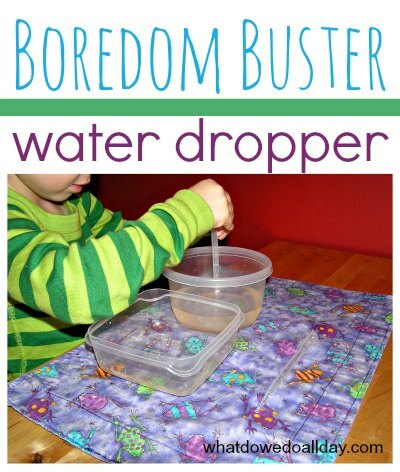 Water transfer using a dropper is such a simple activity but it really keeps my older son busy. After all, kids love playing with water! I set out two containers, one with water, another is empty. He uses the eyedropper to transfer the water from one container to the other. I hope you are noticing that in most of these photos Kiddo is still in his pajamas. That should tell you a lot about what does and does not happen around here these days.